He is the heartthrob of all music lovers and non-music lovers in the country. Benny and his band's passion and love for Indie music led to the inception of Funktuation in the year 2011. They started with playing funk covers from the 80's and the 90's and soon gained popularity through a series of stage shows. The band travelled around the world with Benny playing Bollywood. But, after quite many successes, the band finally realised that life was getting mundane, and it was time for them to do what they loved the most -to make Independent music. And now, they are one of India's most respected bunch of people! 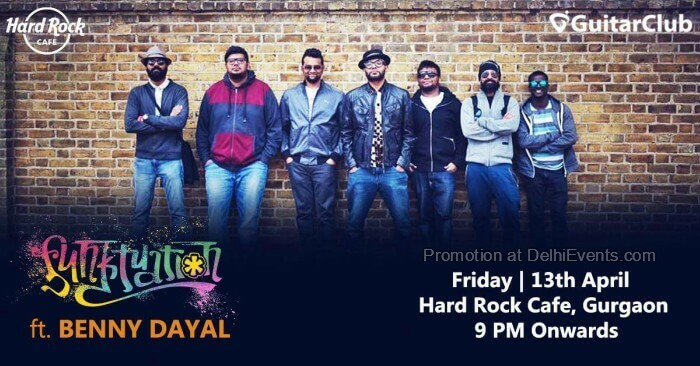 Yes, it's Funktuation ft. Benny Dayal in the house! Catch their moves and grooves, let loose for their tunes on your dancing shoes!